Sold Out! will make you shop until you drop from fun! 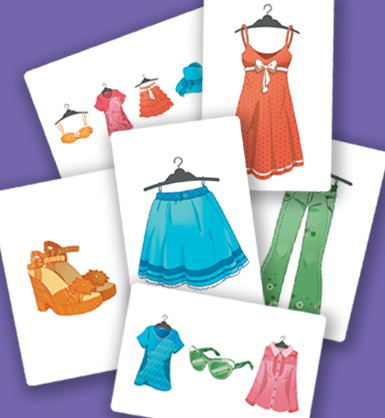 Each player is given a shopping list to memorize before dashing around the room, looking through piles of cards representing clothes racks. Sold Out! 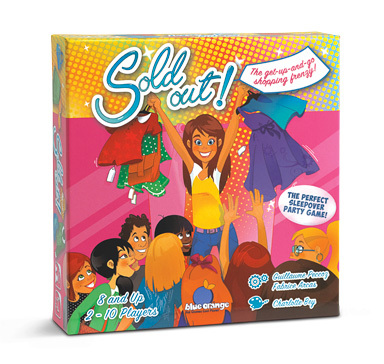 is a unique get-up-and-go card game perfect for birthday parties and sleepovers! Children will love exploring their space and running around in this energetic race to finish their lists before the store is Sold Out!